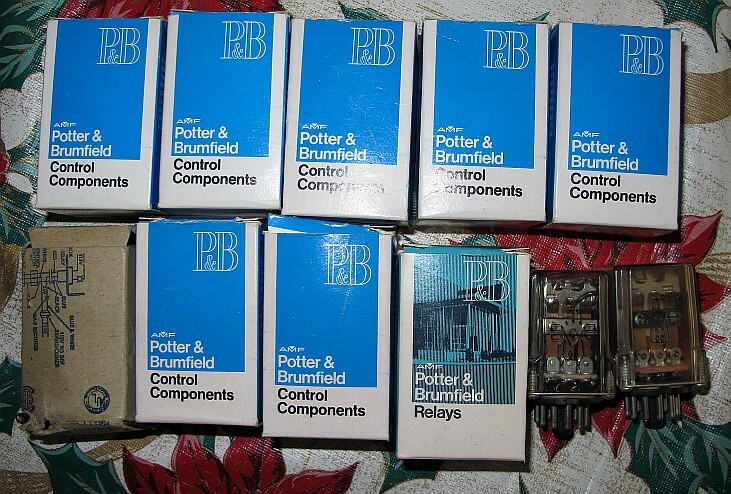 Here are ten 24V 3PDT Potter & Brumfield relays. These relays plug into an 11 pin socket. Two of the relays are NOS, the rest are used. The used relays appear to still be functional, except the core energization lamp is burned out. This does not prevent the relay from operating, it just can't inidcate if the core is energized. The lamp is easy to replace if you wish to replace it with a new 24V bulb.